Listening to the wisdom of elders is invaluable. Fame often comes out of wisdom shared on a global scale, as people pursue their individual talents, passions, and goals throughout their life. The best definition of success I’ve seen is, “Success is the progressive realization of a worthy ideal” And, whether it’s to become an actor, doctor or wife and mother, it’s about the choice we make to stick with it and do a good job of it. 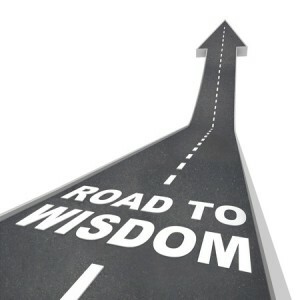 The key is to impart the wisdom of our own journey to help others.